s. Choose from 3 design options. 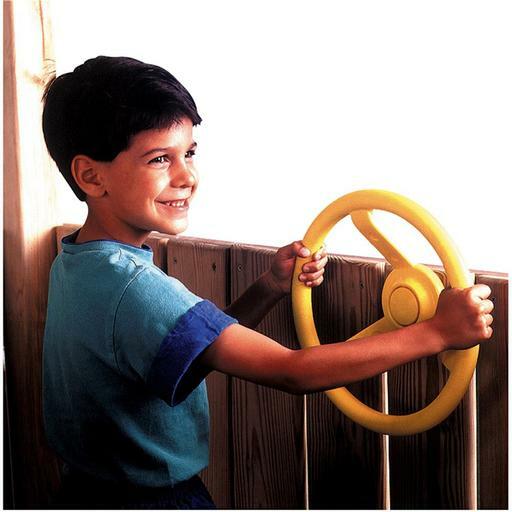 Up to 55 square feet of play deck and 26 activities. 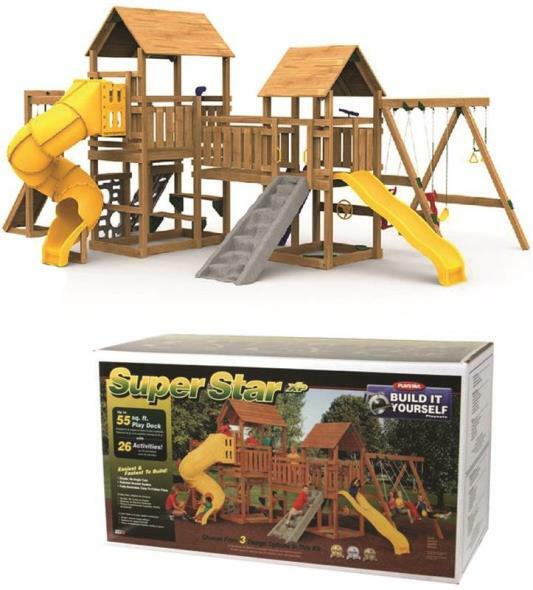 Featured components, lumber and screws sold separately. SKYTRIC 15 FT. Trampoline with Top Ring Enclosure System equipped with the EASY ASSEMBLE FEATURE" SKYTRIC 15 FT. Trampoline with Top Ring Enclosure System equipped with the EASY ASSEMBLE FEATURE"
Bring bouncing fun to your own backyard with this new SKYTRIC" 15 FT. Trampoline with Top Ring Enclosure System equipped with the "EASY ASSEMBLE FEATURE". 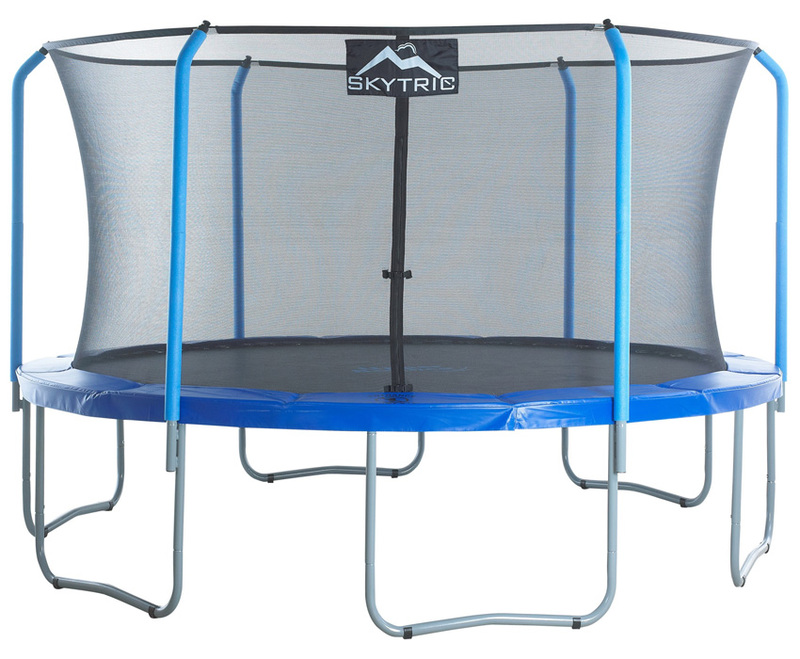 This SKYTRIC trampoline will let you reach the sky for maximum fun and fitness! SKYTRIC is a sister brand of Upper Bounce Trampolines, yet produce upgraded and improved trampolines. 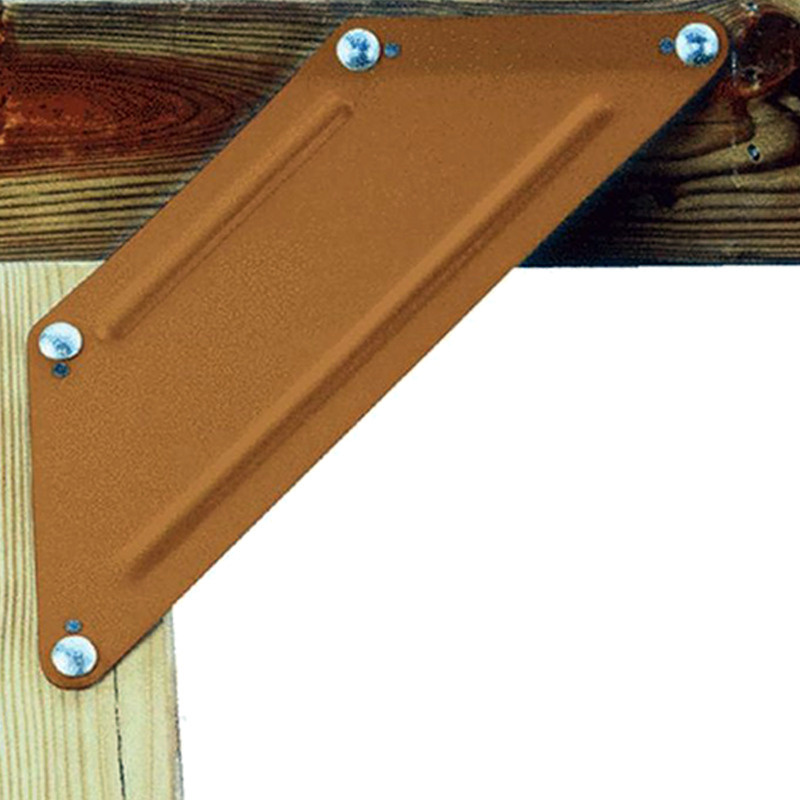 Some of its many features includes: Special Rust-resistant Galvanized Durable powder coated steel frame, Top Flex Pole Enclosure System offering amazing stability and durability verses regular poles, which enables the net to stand tall and straight! 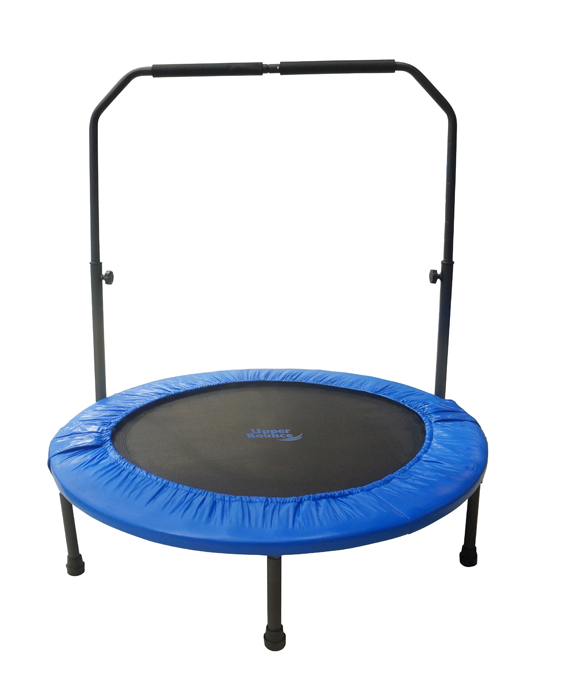 Get this SKYTRIC trampoline and you"re in for the bouncing experience of your life! 12 Ft. Trampoline & Enclosure Set Equipped With The New "Easy Assemble Feature" 12 Ft. Trampoline & Enclosure Set Equipped With The New "Easy Assemble Feature"
Our Easy Assemble/Disassemble Feature Trampolines are especially designed to make it easier taking apart the poles for protection during the winter without using any hardware and will save you from replacing trampoline parts too often. Trampoline use the Top Flex Pole Enclosure System offering amazing stability and durability verses regular poles. 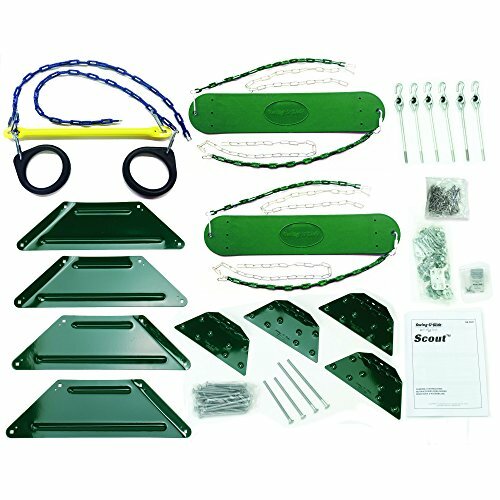 16 FT. Trampoline & Enclosure Set equipped with the New "EASY ASSEMBLE FEATURE" 16 FT. Trampoline & Enclosure Set equipped with the New "EASY ASSEMBLE FEATURE"
Bring the best outdoor fun to your family with this new Upper Bounce Complete Trampoline & Safety Enclosure Set! 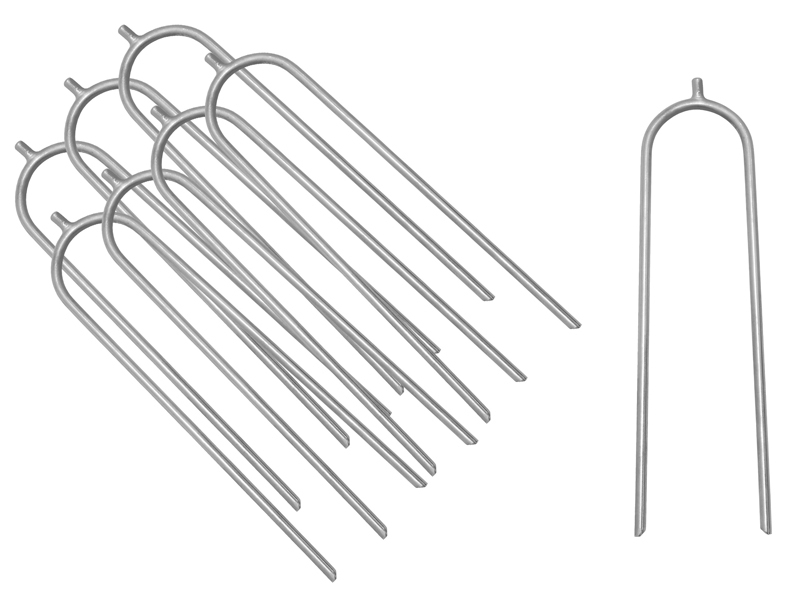 Our Easy Assemble/Disassemble Feature Trampolines are especially designed to make it easier taking apart the poles for protection during the winter without using any hardware and will save you from replacing trampoline parts too often. 14 FT. Trampoline & Enclosure Set equipped with the New "EASY ASSEMBLE FEATURE" 14 FT. Trampoline & Enclosure Set equipped with the New "EASY ASSEMBLE FEATURE"
Upper Bounce 14 FT Trampoline gives you and your family a fun and safe way to enjoy the fun and fitness of jumping. 10 FT. Trampoline & Enclosure Set equipped with the New "EASY ASSEMBLE FEATURE" 10 FT. Trampoline & Enclosure Set equipped with the New "EASY ASSEMBLE FEATURE"
Upper Bounce Trampoline Enclosure Net is a must to have to ensure your family's safety! 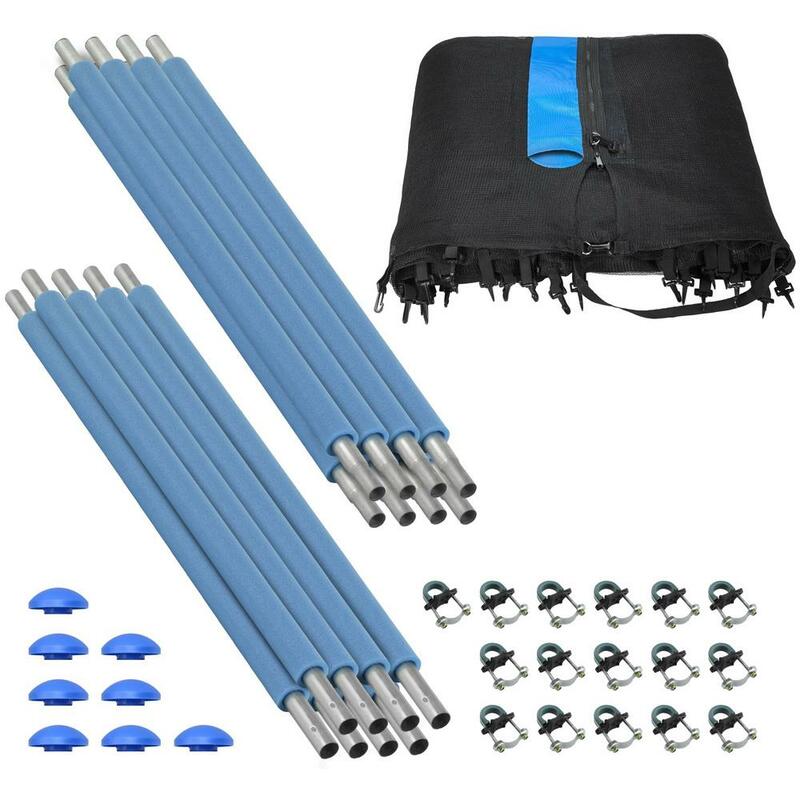 Fits for a 13 FT. Trampoline Frame with 8 Poles. Actual Net Height 71". 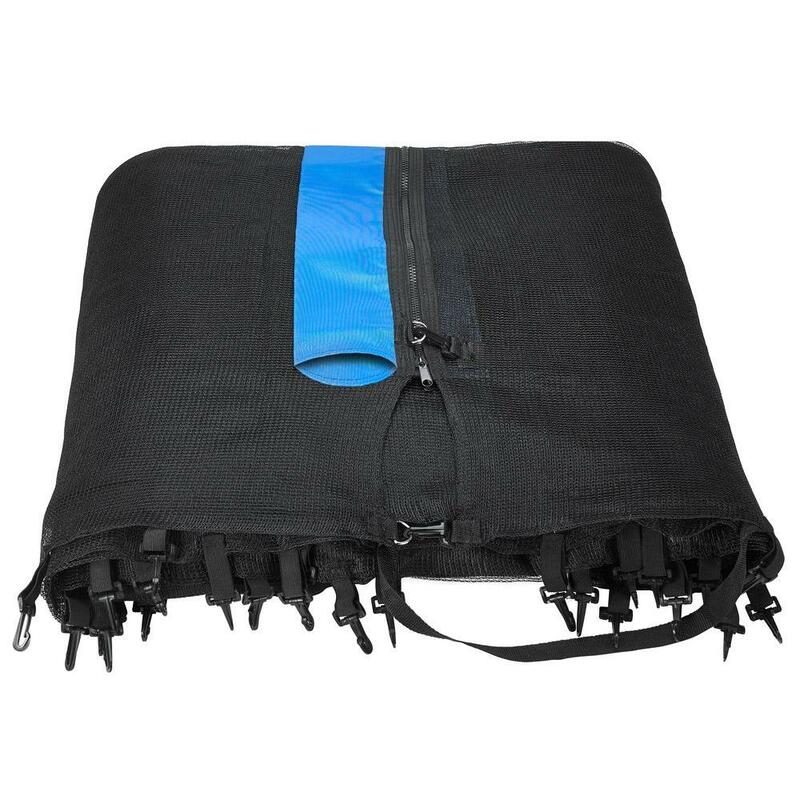 Net features a perfect height which gives a 100% assurance of keeping a person safe inside while jumping! You can now enjoy your jumping experience knowing you are fully protected with this high quality weather-proof enclosure net and protecting you from any accident. The "Outside" Model Net "Sleeves on Poles" connects to trampoline by covering the poles with sleeves thereby giving you more area space to Jump & Enjoy! 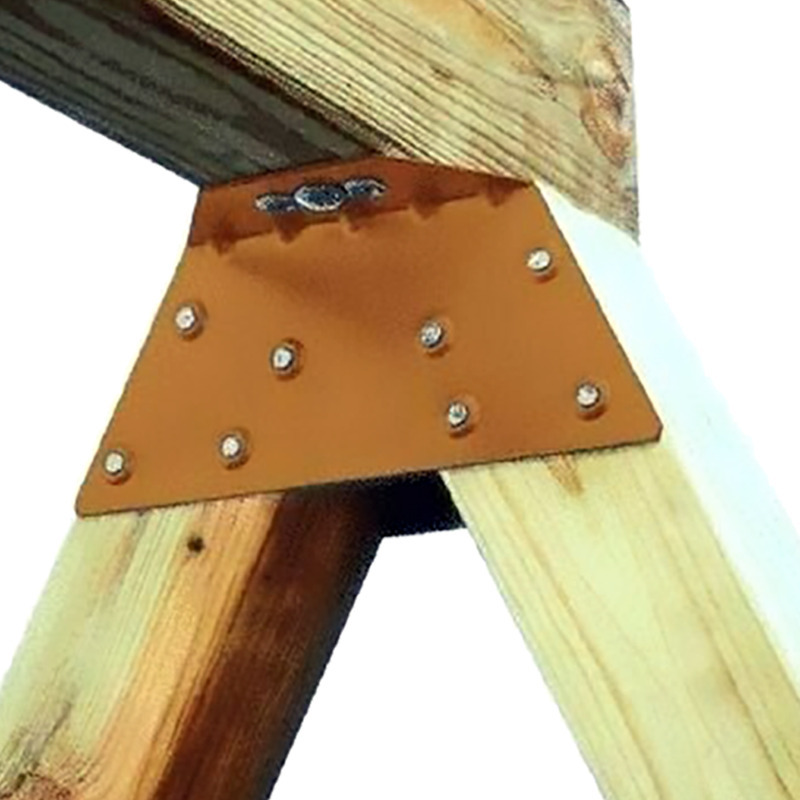 Will fit poles measuring up to 2" diameter. 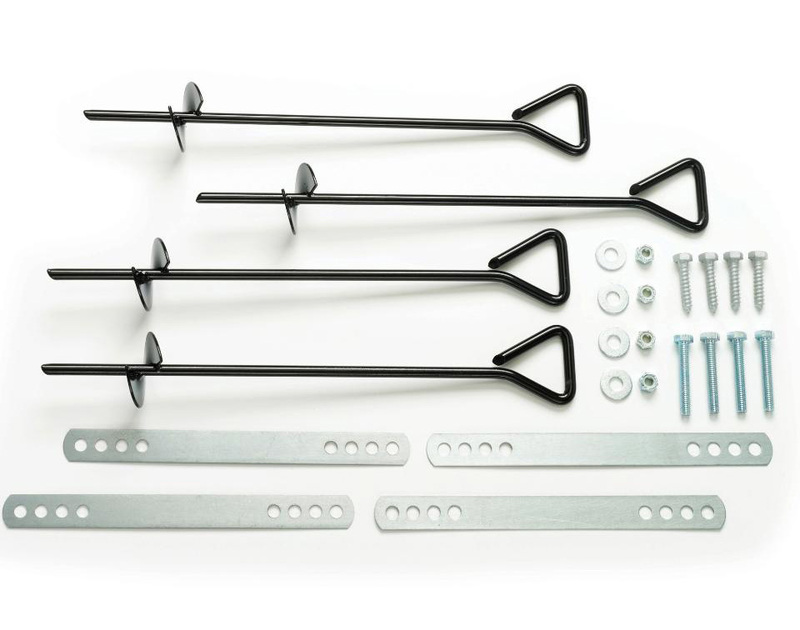 Fits Frame size of 13 FT.
Net width 13 FT. / Net Height 71"
Anchor your trampoline safely and securely into the ground with our special designed U shape anchors. Recommended for all areas that experience strong winds and harsh weathers. 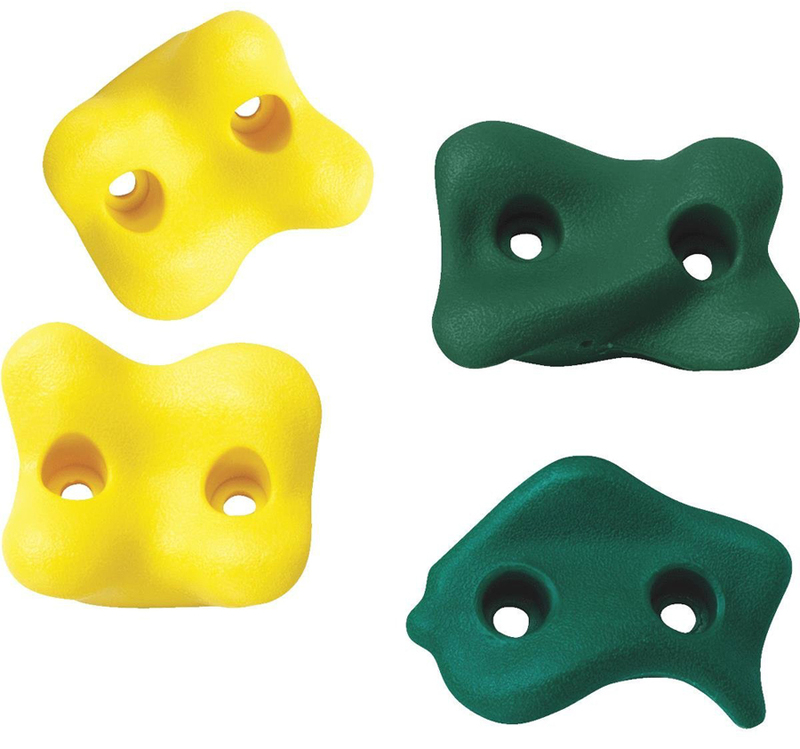 Easy to use, with 8 U shape anchors that need to be nailed down onto your trampoline legs. 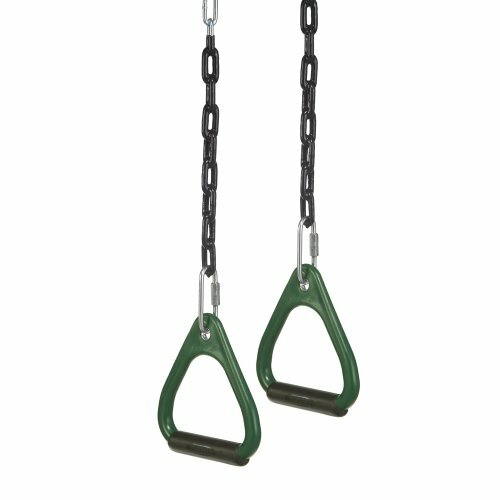 These anchors can be used for all brands of trampolines & other outdoor items that need to be anchored down (fit legs upto 2.5"). 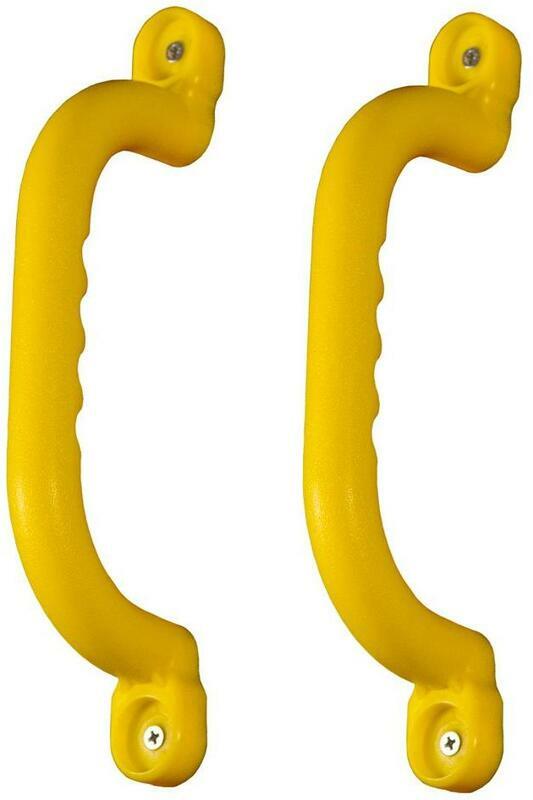 By using these U shape anchors for your trampoline, you are guaranteeing yourself many more enjoyable years of use of your item. 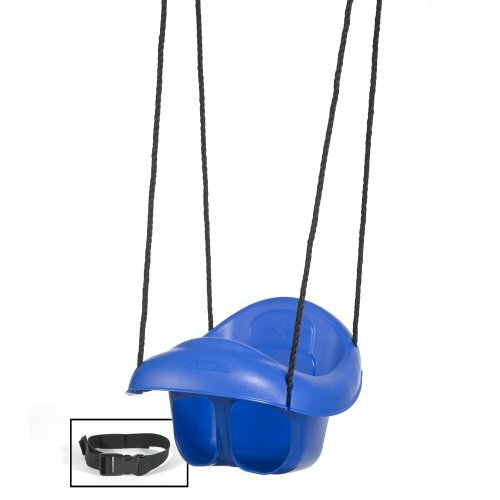 Keeps your trampoline safe in place while your kids are jumping! 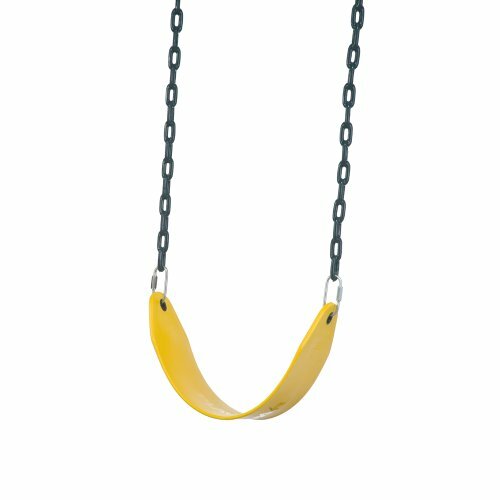 Fits legs upto 2.5" - Anchor measures 12"
Get this Upper Bounce Mini Trampoline which is a great way for kids & adults to burn calories in a fun way! 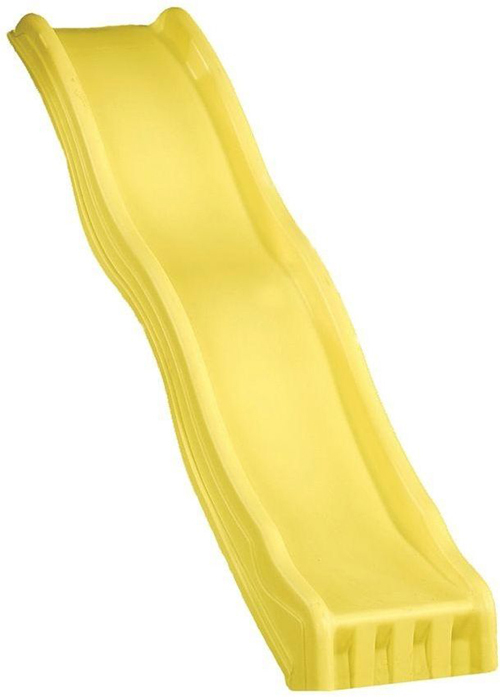 40" size with handrail is perfect for indoor or outdoor play so it can be used all year long! 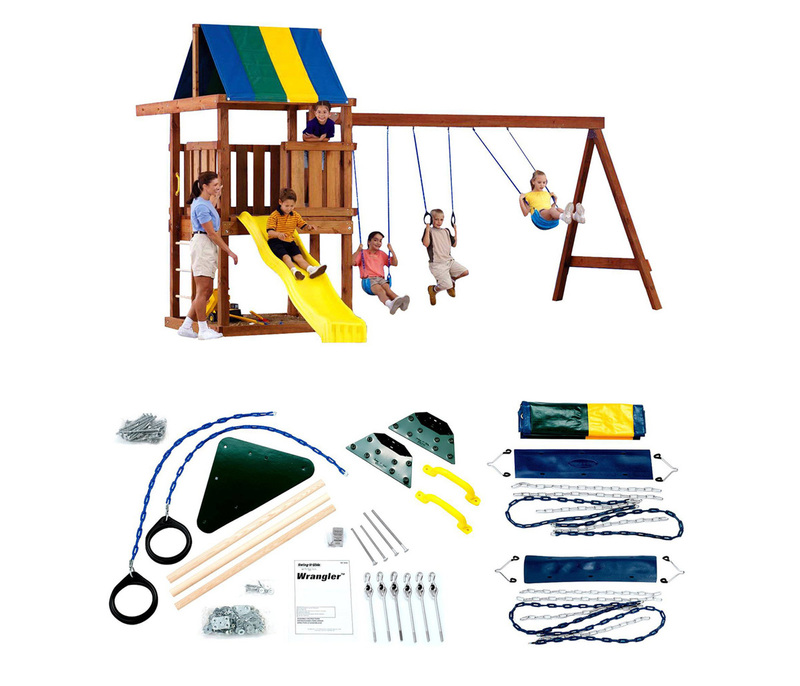 Bring fun together with health and fitness to your home and family with this Complete High Quality Upper Bounce Trampoline & Safety Enclosure Set! 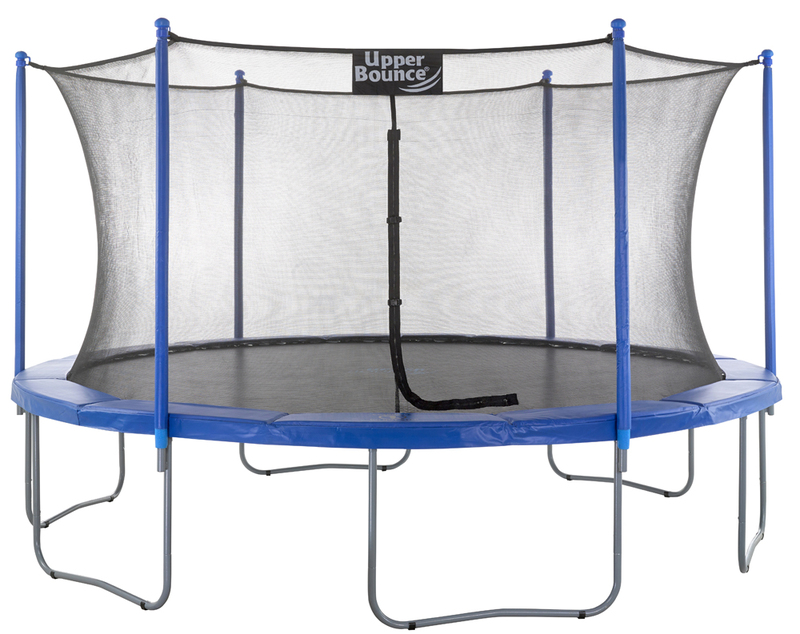 Upper Bounce 55" Mini Trampoline is known to be the most Kid-Friendly Trampoline featuring a heavy duty no-spring bungee system for safety, durability, and hours of bouncing fun! Inset mesh enclosure is supported by padded poles for added safety and 100% assurance of a secure fun jumping experience for your kids and their friends! 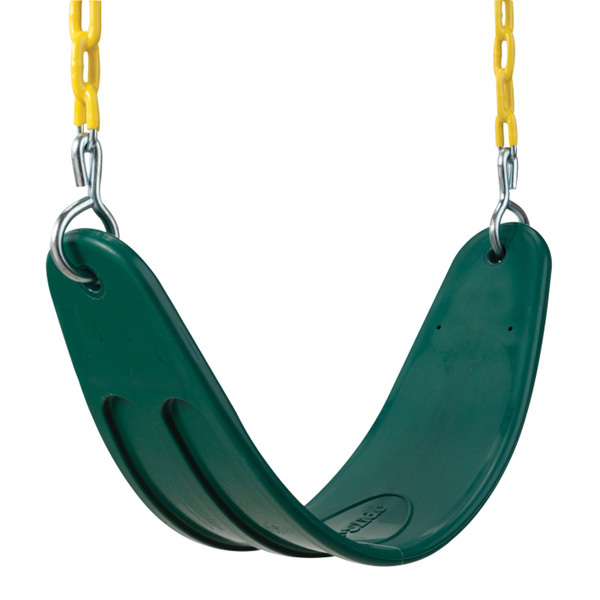 All Upper Bounce trampolines are built with safety as the very first consideration. 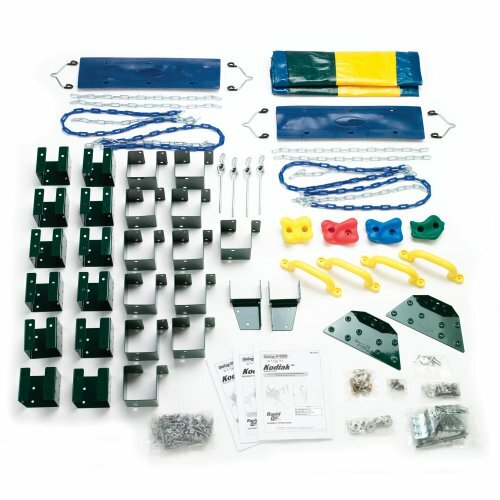 They're easy to assemble and include all tools needed. 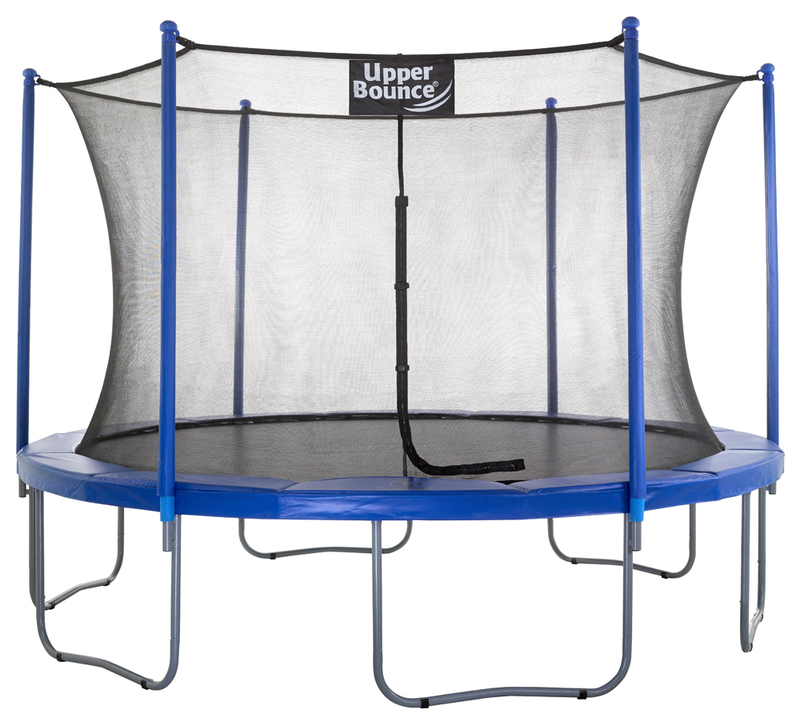 Your child will be bouncing on the very day you receive your Brand New Upper Bounce Kids' Mini Trampoline! 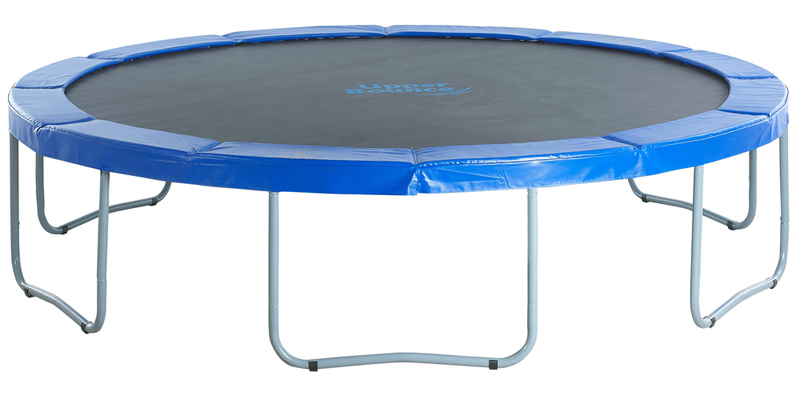 Trampoline Height with enclosure:+51"+ frame height 14"
Mat size excluding V-loops: 44.48" | Mat size including V-loops: 45.66"
Trampoline Safety Fail?? Trampoline Enclosure Set is a must to have to ensure the maximum safety for your kids and their friends! 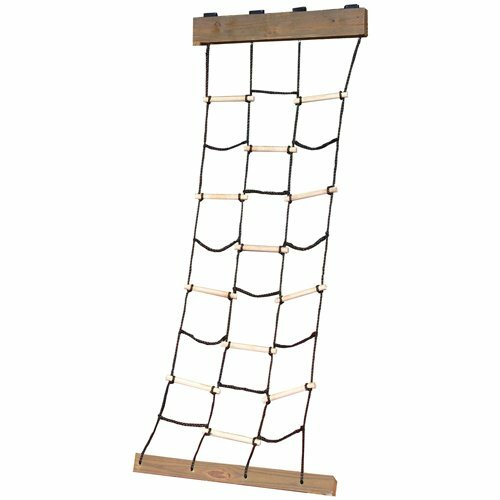 Fits for a 14 FT. Trampoline Frame with 4 or 8 W-Shaped Legs, Actual Net Height: 71". 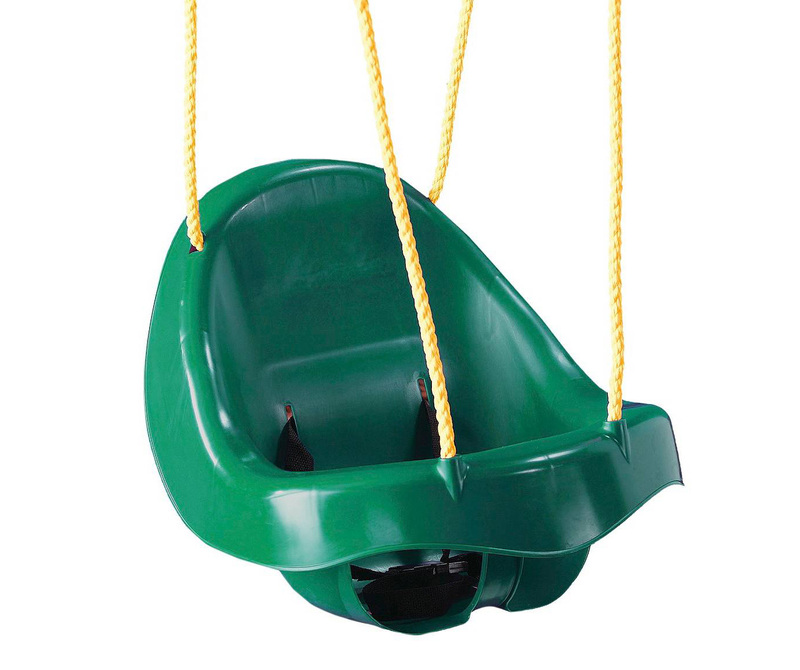 Compatible with Trampoline legs of up to 1.5" diameter. 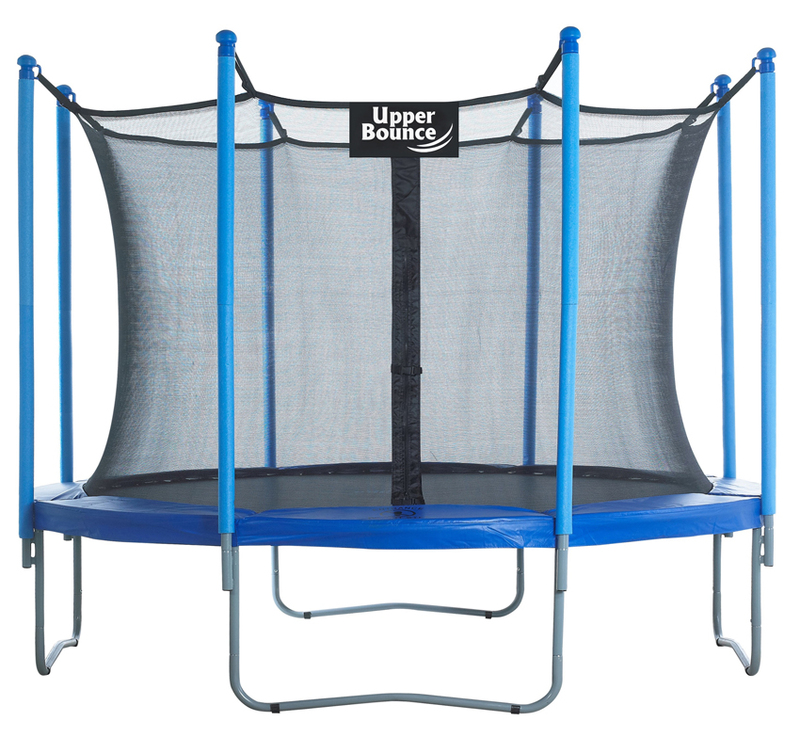 Upper Bounce "Sleeves on Poles" Net, connects to trampoline by covering the poles with sleeves which gives you more area space to jump and enjoy! The poles measure 1" diameter. 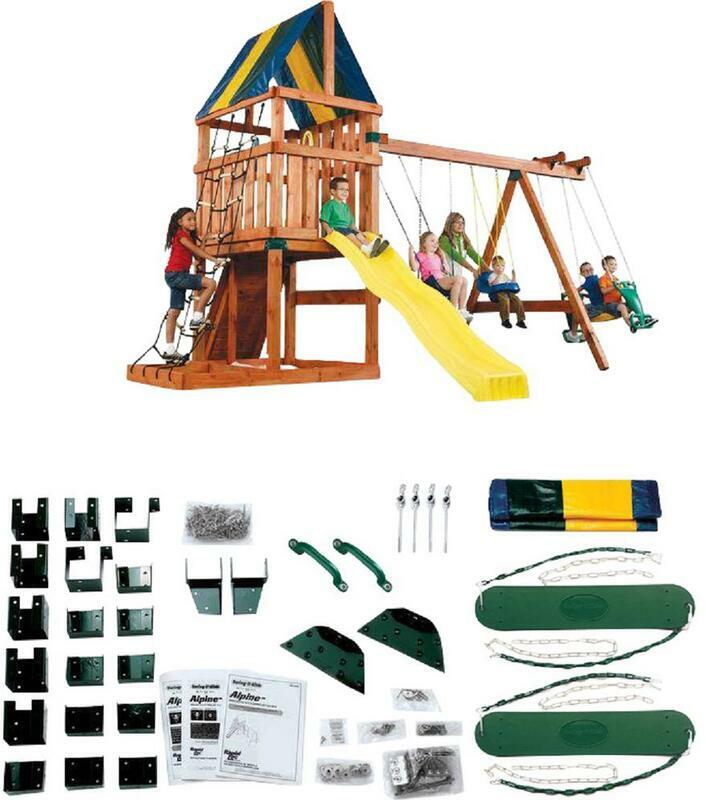 The set comes with 8 upper and 8 lower poles. 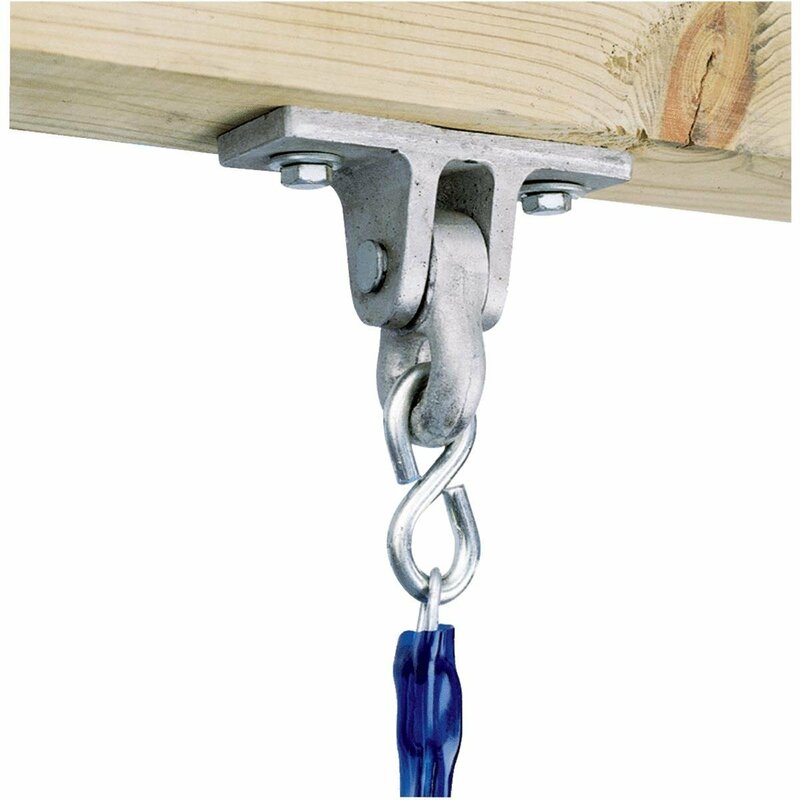 Each pole measures 43.5", the assembled height is 85.25". 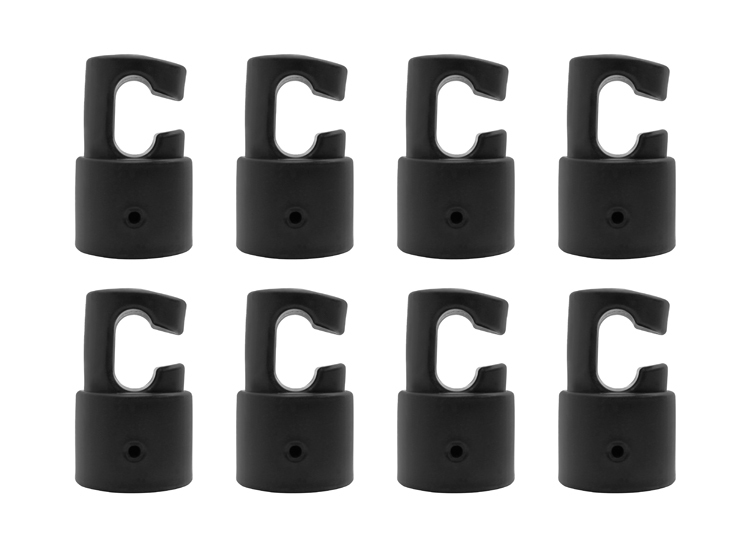 Get this Strong and Durable Enclosure G shaped Pole Caps to use for Fiber Glass or Metal Rings on Top of Trampoline your net will stand tall and straight again! Easy Assembly!